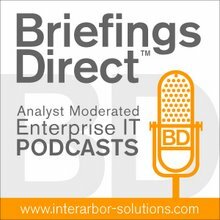 To help us sort through the unknown unknowns of such an unprecedented business merger in IT, please welcome Jorge Maestre, Competitive Strategist, Global Storage at Hewlett Packard Enterprise (HPE), and Craig Rice, Business Architect at Integris Solutions Group. The discussion is moderated by me, Dana Gardner, Principal Analyst at Interarbor Solutions. Gardner: Even before this Dell acquisition of EMC was announced back in October, the storage market has been undergoing significant transformation. What have been the trends impacting the global storage business, and why did they prompt such an unprecedented merger in the first place? Maestre: That’s a good question. Obviously, we start with flash storage. With flash as a focal point of primary storage in the data center, the technologies have evolved. Well, in the case of flash, we're not talking about an evolution; we're actually talking about a revolution. It has completely trumped what you have with spinning-disk media storage. You saw a lot of different opportunities for a lot of different vendors to jump in here and be the first with flash. EMC didn’t have a head start technically. That hurts, when you have vendors like Pure Storage, or ourselves at HPE obviously, or some of these other names like SolidFire and Kaminario. And as companies are consolidating their primary storage into these flash footprints, which can be hyper-dense now, what we found is that other [infrastructure] technologies have emerged. These technologies and these trends have been here for a while, but now … they are very complementary to primary storage. You now have use cases in your data center where you can take advantage of things like hyper-converged or software-defined, or even just reinvest in file. Now, you're looking at a data center that needs to have a completed picture. For all of EMC’s bravado, for all of their product set, for all of their ability to sell, the completed picture from them isn’t something that necessarily has always looked pretty. We saw the result, which is the constant revenue decline. I think they're in consecutive quarters of revenue decline, and in some cases, they've taken a pretty bad hit. They've lost the midrange. The number-one product in the midrange is the HPE 3PAR. They lost that segment, and that was their staple. They've seen VMAX revenue decline by almost 50 percent or more in the last few years, and so it has painted this picture of this huge conglomerate, monolithic company, maybe losing its way. The merger was at the right time. Rice: I think flash is a contributing component here, but the catalyst that’s causing the greatest amount of disruption is shareholder value. Let’s take a look at what’s transpired over the past year. We have an activist investor [Elliott Management] that’s been bullying EMC for quite some time to divest themselves from VMware. VMware is a catalyst that adds value to their storage array. We look at other organizations such as NetApp and how they had to acquire SolidFire. We have companies such as Pure, an upstart that’s done maybe $200 million in sales and an innovating leader. When you look at this, the whole challenge, the true disruption in storage, in the IT market then stems from shareholder value. What uniqueness do any of these mergers and acquisitions bring to the end-user customer? How does a technology change, or an innovation of flash, drive value not to IT, but to the lines of business? That’s what we've been seeing here at Integris. Gardner: So clearly, there are business motivations from EMC and Dell that might not necessarily be the same motivations that their customers are facing. EMC Chairman Joe Tucci tells everyone it’s business as usual, don’t be worried, but we saw in a recent research report from Gartner: Dell's Acquisition of EMC Will Impact Storage Customers, 10 March 2016, that this will impact customers of both vendors, no question. They suggested it could take two or four years for the storage market to settle out and for more clarity to come to that. So, what are some of the biggest risks, as you see it, Jorge, for storage customers, with this deal in the works? Maestre: We have to take a look at what EMC is telling people and what other people who are doing investigations on their own are finding, and we're seeing that those contradict one another. ... EMC’s business customers, their business partners, might be in a state of confusion, but I think storage is pretty solid in general. What we have to take a look at is what EMC is telling people and what other people who are doing investigations on their own are finding, and we're seeing that those contradict one another. There have been CRN articles, there have been Register articles that talk about what EMC is telling everyone, "This is going to be great. This is going to go well. The two companies combine. They're going to be $80 billion. We're $80 billion with a revenue, blah, blah, blah, blah." The reality is that’s not going to be the case. Both companies are seeing revenues continue to decline. As they merge, probably there's not going to be any overlap. Just take a look at the storage portfolio. You're not going to see a lot of overlap there. EMC is going to announce a new product [in May 2016] that everyone is expecting to jump into that entry-level space. So, they're probably going to even create a displacement for Dell Compellent. And, of course, Dell is telling people, "No matter what happens, we'll still support Compellent for five years." That’s pretty much saying, "This product is dead." Most people agree that that’s going to happen. From a product set perspective you're not going to see too much craziness. You're going to have the same EMC salespeople selling the same stuff. They're going to be selling servers too now, which could be a good thing or a bad thing, depending on where you come from. But what we're not seeing, and what we're not going to see, is any type of growth. There is no way there's going to be any growth. They're talking about cutting $2 billion worth of expenses just to pay for this $67 billion deal. That’s a huge number. Cutting your expenses that much in order to show an increase in revenue, assuming you don’t lose any customers, or lose any executives, as this merger becomes complete, is just a huge risk. It’s not even a risk; it’s an uncertainty. There's no way it’s going to happen. I think there is a CRN article that talks about this. In order for them to actually show revenue growth, they have to see a seven percent improvement on top of the $74 billion that would combine the two companies together. That’s where they would be today. That’s crazy -- seven percent on top of that and from two companies whose revenues continue to decline? How is this merger all of a sudden going to stop the revenue decline, turn it around, and bring it up seven percent? We could talk about financials all day, but you have to have a compelling product set for that. They don’t have it. I just don’t see it. Rice: I'd like to emphasize one thing that Jorge said. I have some unique insight. We are a partner that used to be exclusively EMC. We've seen the writing on the wall. We've been working with HPE and transitioning over. We have a lot of good friends that have worked at EMC for 10, 12, 15 years, and in that highly competitive sales force environment of EMC, that’s a lifetime. These key leadership positions from district managers, area managers, and engineers are leaving the company in droves. Why are they leaving if this is such a good deal and things are going forward? I have customers asking, "What happened to Bob Smith? 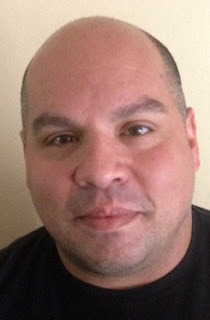 He has been our rep or our district manager for 10, 12 years, why did he leave and go there?" I think that just puts credence on Jorge. Gardner: We certainly have very big and different cultures here, where EMC has always been focused on enterprise, large companies, with an aggressive sales force, a very involved sales force. Dell, on the other hand, focused more on the mid-tier, and largely a self-service culture, where people are encouraged to buy things at a commodity level. So what does that mean for enterprises? Are they going to see the Dell culture come to the EMC market or will the EMC market go to the Dell tier? How do you see these cultures melding, particularly in sales, that inflection point between the customer and the vendor? Jorge? Maestre: Here’s the thing. This gets a little frustrating because we're dealing with the greatest sales spin marketing company of all time. EMC is the Michael Jordan of sales spin, marketing, and everything else. Maybe not so much in product delivery and all that other stuff, but the reality is that these guys know how to talk the game. This gets a little frustrating because we're dealing with the greatest sales spin marketing company of all time. EMC is the Michael Jordon of sales spin, marketing, and everything else. It’s like everyone went to the Don King school of selling. They can just promote, promote, promote all day. They do a good job of being Don King-like, every single one of them. For those who don’t remember, Don King was a huge boxing promoter in the ‘80s; Google him. So, they are all that and they are good at that. For me, it’s very frustrating, because there is nothing there. We take a look at the revenues, the product sets, and there's just nothing here. You're looking at two completely different product sets. There's nothing compelling about it. Now take that a step further. Why are people so interested in this? Why is everyone in love with this merger? The reality is because people love EMC. It’s the badge, it’s the sales badge, it’s the resources, and it’s the fact that they make you feel good. They come to your house. They make you hot cocoa. They tuck you in at night. That’s what they do. That’s how you sell. They're great at it. Nobody does it better than them. They literally set a bar of selling that no other vendor has even attempted to approach. You have to tip your hat. Gardner: How will that change, Jorge? Maestre: Well, that’s just it. It takes resources. You have to invest in that. You have to put a lot of money behind that. You have to create a huge support infrastructure. Take a look at how each company invests in their R and D, just to put it in perspective. Dell’s numbers, public numbers are somewhere in the area of 10 percent. EMC’s numbers are somewhere in the area of 25 percent; it might be a little bit more than that. Think about their resources. EMC is a resource-heavy company. Dell is a very lean company. They're very much an assembly-line company. Let’s push it out here, and we'll make our revenue through volume, and don’t worry about the margins. That’s what they've shown. It’s almost contradictory cultures, contradictory selling styles, and now you have to put them together. There's an ESG report that targets EMC customers and asks how they feel about this? Seventy five percent of the people who responded to that said, "We're fine; nothing is going to change." That’s crazy. There's no way Dell just raised $45 billion. It’s not like they went to the bank and asked for a $45 billion mortgage. They actually raised $45 billion in private equity. [The report] is actually telling you that 25 percent of those people are concerned. Twenty five percent is a big number for people who are EMC loyals. That’s a huge number, and we have to consider that. At the end of the day, when this is all completed, those 25 percent are right to be nervous about this. There's no way Dell just raised $45 billion. It’s not like they went to the bank and asked for a $45 billion mortgage. They actually raised $45 billion in private equity. That means they don’t even get to say how the money gets spent. I'm sure they had to show game plans and show how things are going to work to get the money. So, of course they had a plan. And of course the private equity investors were no problem. They bought into the plan when they gave the money, but they still have to have return on that. And that means you're not going to be resource-heavy the way EMC is today. You're not going to invest in your business the way EMC does today. You have no choice; you have to recoup it. So if we see the data, it’s already there. Dell has told people they have to cut expenses by $2 billion a year. How can you be resource-rich, resource-heavy, the way EMC is today and cut $2 billion in expenses? You just can’t. You can’t have it both ways. It’s one or the other; there's no way around this. There are a lot of EMC customers out there who are due for a major wake-up call. Gardner: Craig, Jorge said the halcyon days of EMC sales is coming to an end, that they won’t be spending the money to have that sales force. Is that what you're seeing, and what’s wrong with going to the Dell model of a straightforward information-based, order-it-online approach to storage? Rice: We're seeing that. Like I mentioned earlier, Dana, there are a lot of people who have been long-term tenured, the soul of EMC, and they're leaving the organization. There's nothing wrong with going to the streamlined assembly-line model. I hope they do it and I hope they do it successfully, because what that means for a partner like myself that's focusing on HPE is that they're taking value out of the equation. Their buyers are going to come to Dell-EMC and they're going to buy solely on price. Going to Jorge’s point, in raising $45 billion in private equity, you have to do an awful lot of volume to pay back those types of people. When you start to add value and you understand the customers’ business like we do and other HPE partners do, because of the portfolio which HPE has, it’s going to become a very clear night-and-day difference of who is going to be able to provide a business the ability and technology in the partnership to grow from 10 percent of their market share to 20 percent to 30 percent. I don’t know many businesses that just want the low price and don’t want value and don’t want a partner to help them grow their business. The Dell-EMC model is not that. Gardner: It seems that Dell is taking a risk by not having a more sophisticated approach to sales if that’s what they need to do. They're not just taking a risk. They're betting the whole company. They're putting everything all-in. Rice: Oh, 100 percent. They're not just taking a risk. They're betting the whole company. They're putting everything in on black. That would be concerning to me if I were a customer looking at that. They're going to be so debt heavy, so focused on storage without innovation on compute. Storage is just not alone; you have all these applications, all these business processes that need to rely on compute. What type of innovation are they going to do? Let’s make that even a little bit cloudier. You're not going to do any innovation, but yet you sell a lot of servers because you're a volume-based business, but yet I have a partnership with a competitor. So I have competition with Cisco that's also self-compute. Now, how can the two of you offer something you need, how can they bring out a product like Apollo or Moonshot? You need to do more than just innovate on storage; you need to innovate across whole IT spectrum. I don’t see them doing that because they're going to be so debt-heavy, so laden, that they have to trim all these costs and expenses, and by the way, they have to do an awful lot of volume. If you're doing volume, you can make the best little widget, whatever that widget is, but how do you bring out that next product line, how do you impact the market, how do you change the industry, how do you bring out something like what HPE is doing with composable infrastructure? Where is that innovation in the Dell model? Gardner: Clearly, this is not business as usual in the new sales force. So how can organizations that might be heavily EMC-orientated, or for smaller-sized organizations that are using a lot of Dell, protect themselves? They can hope for the best, they can hope that things don’t change for them, but what assurance can you put in place so that no matter what happens with Dell and EMC, you can, as an enterprise, still continue to do your business as usual? Maestre: That’s a good question. For the Dell customers, the product set is easy to stay in or move to something else. If you choose to stay with the new Dell-EMC, there are a million ways to graduate from Dell into EMC’s portfolio, and of course, there are a million ways to get off of Dell’s portfolio easily altogether. So those customers are relatively safe. I think it’s relatively low risk. The challenge … is not going to be technical, but it’s certainly going to be relationship-wise, and I don’t mean to disparage Dell. If it comes across disparaging, let me apologize up front for it, but Dell isn’t necessarily known for being a relationship company. You may have business processes in place, you may have contracts in place, things you get at a certain dollar-per-gig or at a certain price point. There is some risk to that, but that happens in business every day anyway. So, very little risk. Let’s flip it over to the harder question, which are EMC shops. Forget that I work for HPE or anybody else. EMC products may work, but there's no question that it takes a lot longer to get those things set up and in place than other vendors’ products. So, you’ve now not just made a financial investment but you have a significant time investment, a significant training investment. That’s a lot trickier. If you're not happy with this new combined Dell-EMC entity, if you're not happy with the direction, if you're not happy with the products that you are going to get going forward, you have a long road ahead of you. You're going to have to talk to some vendors and you're going to have to figure out how to migrate off. You have to figure out what your direction is. I would give those customers the same advice I give any customer. What’s your plan? What does your world look like in three years, in two years, in one year, whatever it is? Tell me what Utopia looks like, give me that, and then we'll figure out how to make the technology fit that. I don’t think those customers should be making concessions for the technology or the technology vendor or the technology vendor story. They should be making those vendors either deliver, or move on to a vendor who can. Those are the conversations they have to start having. In a way, this is an opportunity. EMC customers who invested in a lot of infrastructure can now look around and say, "Maybe this is an opportunity for me to shrink my infrastructure, to take advantage of the fact that it’s a buyer’s market in storage, take advantage of flash, take advantage of all these different things, and see what I can do to restart my infrastructure and get me closer to what my dream vision of my data center would look like." It could be a long and winding road. You may want partner companies. Partners are critical. The one thing that everyone has in common is Dell. HPE, IBM, no matter who you're talking to, they're all talking about partners and how important partners are. This is the best time in the world to lean on those partners and say, "Guys, help me navigate through this." The challenge is finding an impartial or unbiased partner. Everybody works with one specific vendor, and in that way, they're just an expansion of the vendor, but there are a lot of good ones out there. This is the best time to lean on those guys if for nothing else, then just to get their consultative advice. Gardner: What's the time frame here, Jorge? It seems to me that we're at a point where business agility means getting new systems in place to accommodate things like user experience, big data, and Internet of Things (IoT). These are driving change very rapidly. Waiting two or three years seems to me a very long time for making strategic decisions. Maestre: Let’s put that in perspective. The only concept in this industry is change. Things are always going to get better. Social media has created an endless stream of data that’s going to be written all the time. IoT exacerbates that. Change is always going to be here. Every vendor is always going to be changing in some way, shape, or form, always going to be evolving. They have to. Otherwise, they're going to be left behind. Craig brought up a good point earlier about NetApp and what happened at NetApp. Now, they are buying SolidFire, and that’s like their fifth or sixth different attempt at getting into the flash market. So, you're certainly looking at a world where you can't be just constant. Either you stay in front of it or you're going to get left behind. The issue for EMC customers for the next two or three years is not so much the roadmap, the combined product set. Everybody agrees that there is very little overlap. No one wants to disrespect Dell here, but the reality is that there is very little in the storage world that Dell has that isn’t going to be replaced by EMC, and EMC doesn’t sell servers. Sure, there are some questions around VCE and Vblock, but is that going to be their investment? Why would you continue to partner with Cisco Unified Computing System (UCS) when you have servers already? Those are real questions, and that’s probably one of the points that Craig made so well before. But the reality is that that’s not where you are going to feel the pain in the next two or three years. Where you're going to feel the pain over the next two or three years is in that thing that made EMC special, the fact that they make you feel good about your purchase and the fact that they support you, and they deliver what they say. This is an opportunity for me to shrink my infrastructure, to take advantage of a buyer’s market in storage, take advantage of flash, and see what I can do to restart my infrastructure and get closer my dream data center. Your EMC service is based on the people who are going to leave, the point that Craig made earlier, but not just the people who are going to leave, but what process is going to survive. You have to be a blind fool to go into this thinking that nothing is going to change; that’s ridiculous. Of course, something is going to change. Even if everything worked out in the way that Joe Tucci said it would, there would still be a lot of change, there would still have to be some concessions. So there is no question about that things are going to change. So the one thing that made EMC great, in making all of those steps to give you what they promised, feels painless and makes you feel good. All of that is where you're going to feel the pain for the next two or three years. Craig nailed it. It’s going to take about two or three years for them to sort all that out. That’s where the problem lies and that’s where this is going to impact customers. That’s why now is a good time to maybe start thinking about going elsewhere or looking at other direction. Gardner: How do you as a storage consumer get assurance of reducing your risk, given this complex deal? Rice: The best thing is to make competition a key component. I've read a couple of reviews from a couple well-known organizations that say get it in writing. I worked at EMC for a while, I worked at HPE for a while over the past decade. Prior to this change, a lot of salespeople would always do that get-it-in-writing thing. “Mr. Customer, I guarantee this.” When they leave, what good is that guarantee? They're a publicly traded company. You can’t commit that in writing. Will Dell and EMC do that going forward? I don’t know. The best way to keep them honest is to find a partner, such as Integris -- there are many other good partners as well. Evaluate some competing technologies. Competition will always keep each other honest. That’s the simplest, most efficient, and least impactful way that a prospective customer can determine it. Do I want to go with Dell-EMC? Do I want to go with HPE? Do I want to go with anyone else? Bring competition in with a partner so they can equally evaluate what they had to offer. Maestre: Find partners you can work with that are good. Integris is a good one, and there are others, but find partners who are out there who can take care of you and have your best interests at heart, whose interests aren’t aligned with another vendor’s interests. It’s great that they resell a vendor’s product, but the best partners have expertise across multiple vendors, and that’s what you want to look for. That’s important. The other thing is to have a plan, make a plan. One thing I know about HPE in terms of the enterprise is that we absolutely make the best product. I don’t have to give you a commercial to buy my stuff. I know that we have the best product, and you'll wind up here eventually. Consider your perfect data center, think it through, write it down, and then start talking to people, and the people who can fit your vision those are the guys you want to talk to. Don’t worry about what somebody else is saying, what somebody else is marketing, what somebody else is highlighting. The people who ask you to make concessions to fit their product set are probably the guys you want to walk away from. That’s the best way to reduce risk -- just essentially invest in yourself.